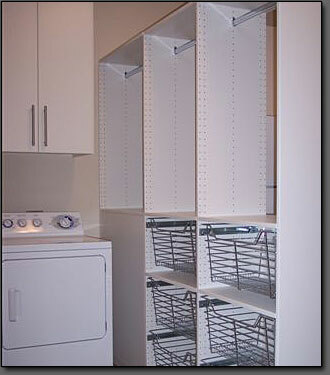 The well designed laundry room can actually make doing the laundry an enjoyable process. Upper cabinets are perfect to store cleaning supplies and detergents where they are accessible, yet out of the way and behind a door. Baskets are perfect for sorting laundry and when the basket is full you know you have a full load. Rods for hanging up clothes and built-in ironing boards add to the organization. 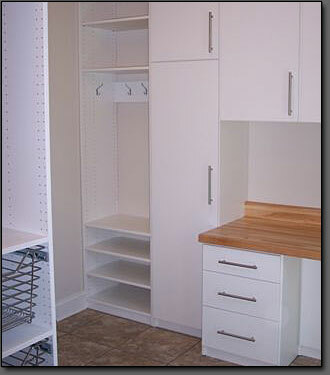 Let us make the laundry room of your home a clean and functional space.